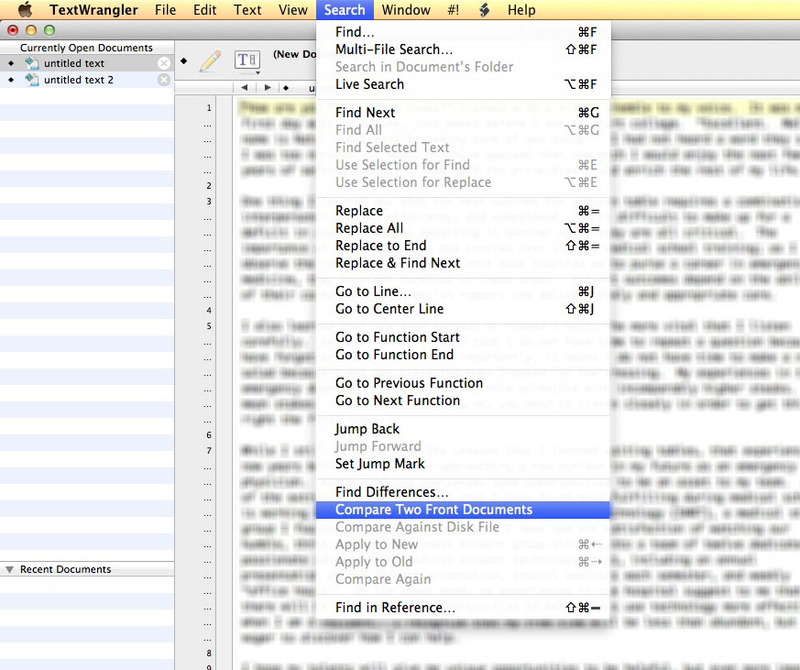 Bottom line: TextWrangler has an easy-to-use tool that points out differences between two text documents. I can’t believe I didn’t know about this TextWrangler function. How many times have you had a (friend, coworker, SO) look over and revise an important essay before you turned it in? How many times have you wished you could pinpoint the changes they made quickly and easily? It’s not that uncommon of a situation for me. Some writing tools, like newer editions of Microsoft Word, Pages, and Google Docs have built-in markup tracking that can be enabled and are great for this kind of stuff. However, I find that very few people (know how to) use this. Additionally, there are some bugs in going back and forth between Word and Pages, so if the other person is using a different document editor, you might not be able to take advantages of the built-in functions. Even more common than that is when people just don’t know these functions exist, so they email you back an edited copy of your document and you have no idea what changed. 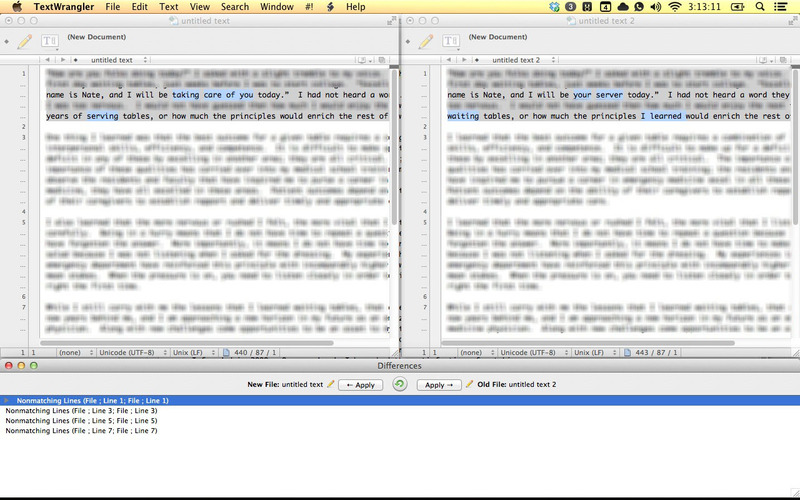 Time to put them side by side on your screen and spend the next few hours going sentence-by-sentence, right? It pops into an well laid-out side-by-side view with a pane at the bottom showing you the differences. If you click on an item in the bottom pane, the relevant paragraphs and the differences between them are highlighted in the side-by-side view above.